I was a guest speaker during a class at the University of Mississippi yesterday and the conversation of social media came up. The majority of the class had dropped using Twitter and while still some check Facebook, they mostly now use SnapChat or Instagram, with some of the more artsy students using Tumblr. While the stats have been showing this for awhile, the clear show of hands in front of me, means one thing - if considering what social media to use for your pizzeria, Instagram is a natural fit. SnapChat is still catching up but businesses are also starting to grab onto it. A great article showed a recent business post to fans on SnapChat and you should check it out here. PMQ has not yet adopted Snap Chat as a way to reach our fans but this seems like a more natural fit for young pizza entrepreneurs who can reach their friends and fans on a 1-to-1 basis using the system. But Instagram is proving to be a must for many pizzerias. According to Instagram there are over 60 million photos shared a day and they are embracing business users. Learn more about advertising with Instagram here. 1. 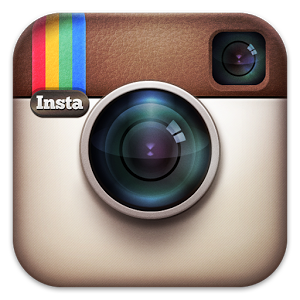 Engagement on Instagram is 15 times that of Facebook's, with users spending an average of 257 minutes per month. People actively search for good photos and if your pizza pics continually inspire them to eat, guess where they will search first - your pizzeria. 2. Instagram receives 1,000 comments and 8,500 likes per second. That comes to 1.2 billion likes per day. Why be lost in the shuffle on Facebook when you can really reach your fans with a quick pic? 3. More than 16 billion photos have been shared to date, with an average of 55 million uploaded each day. Everyone is doing it - why aren't you? 4. The number of users has increased 66% to 32 million users, the fastest growing of the top 10 mobile apps. Did we mention you use Instagram with your phone? So it is an easy social media to integrate into your pizzeria. Why not encourage customers to engage while there? 5. Instagram ads have helped retailers increase ad recall by 32% and brand message lift by 10%. I included the link above for Instagram Business and it is about to roll out for all consumers which will open the door to really helping market on the medium. But for now, why not sign up and start posting your great pizza pics and see what happens?